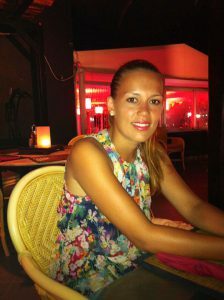 My name is Magalie, I’m the founder & director of Mag’ tours & Mag’ Au pair. I’m lucky to enjoy dual nationality – both French and Spanish. This has given me from a very young age, thanks to the immersion in both cultures, a great affinity for travel and tourism. I had one of my most enriching experiences in Scotland whilst participating in a programme of “work & travel”. This was from this that “Mag’ Au pair” was born. Just like me, I wanted to be able to help other young people enjoy the same unforgettable stay: accompanying them in this extraordinary experience of the discovery of another culture was obvious! Then, because of the large demand from schools and tour groups to help them to organize their breaks, Mag’ tours was established: a receptive agency to plan your holidays. And 10 years later, we always take as much pleasure to accompany and advise you on what best suits your holiday’s needs.